In english - Follow Me & Co, coach canin sur la Côte d'Opale ! Welcome on our webpage in english ! 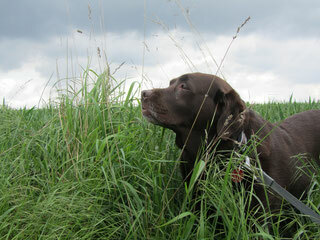 to enforce a quiet communication with your dog and to maintain a balanced "happy dog". Our aim is to help dog owners to train their dog and to build a good relationship with respect, trust and patience. The training methods are based on Didier Raynal' leadership training, created in 1983 (Woodenpark center). If you are on holiday in the south of the Opal Coast, if you spend time in your french home, you can also learn with your dog in a relaxed and informed way and get the best of your dog.